Translations copyrighted 1979 to Heyne. Editors on behalf of Heyne: Yoma Cap and Wolfgang Jeschke. 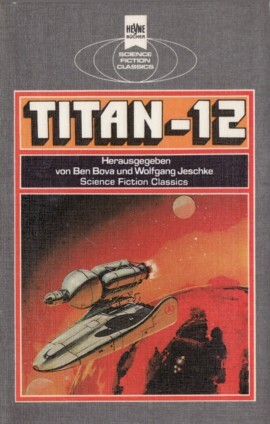 It's 'Titan-12' on the cover, but 'Titan 12' on spine and title page. Ein großer Vorgarten ends on p. 205; page 204 is the last numbered one. Cover design credited to Atelier Heinrichs on the copyright page. Month from 'Science Fiction Times, #147'.